Subhajit has recently joined Galgotias University, Greater Noida, in the department of Computer Sc. Earlier, he has worked for ITS Engineering College, a brief period at Echelon Institute of Technology as HOD of Computer Sc. He has worked for four years as a Professor at Lingayas Institute of Management and Technology, Faridabad (now Lingaya University). His other stints includes that of an Assistant Professor at the Durgapur Institute of Advanced Technology & Management in Durgapur. 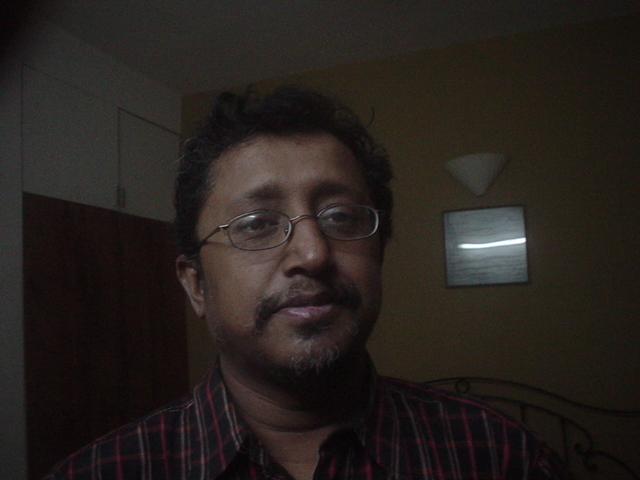 He has spent several years in Shillong and Kolkata as well. He is an amalgamation of the cultures soaked from these places and owes a big debt to ’em. He did his B. Tech & M. Tech in Computer Science and Engineering from Jadavpur University, Kolkata. He completed his B.Tech in 1989, and his Masters in 1991. He did his Ph.D from Tezpur University in the area of Optimization Enhanced Clustering. His research interests are in the area of data mining, soft computing, optimization and database technology. He has seventeen research publications to his credit, and has also authored about a dozen popular technical IT related articles. He was also associated with numerous conferences in various capacities during the last decade. He has worked in the North Eastern Hill University, a central University situated at Shillong for a period of fourteen years where he combined teaching with system administration. Simultaneously he was involved in teaching computer subjects and programming at post-graduate level for over a decade at IGNOU. He has served as a DOEACC Computer Expert for a few years and was involved for few shorter stints at a few other places. In the last few years he has taught subjects such as Pattern Recognition, Neural Networks, Intelligent Systems, Soft Computing, Knowledge Based System Design, Business Analytics, Data Warehousing and Data Mining, E Commerce and ERP, Adv. DBMS, Distributed DBMS, Operating Systems, Operation Research, Software Engineering, Software Project Management, Analysis and Design of Algorithms & Fundamentals of Computers & Programming in C. He has been in the field of computers since 1985, and has seen it transform from a room filling, power guzzling equipment to something that can be conveniently placed upon one’s palm, as well as the near obsolescence of the languages he grew up studying such as BASIC, PASCAL, COBOL & FORTRAN and Hollerith coded input devices such as punch cards, floppy disks of various sizes and densities and the like. Hello there, I found your web site by way of Google while searching for a comparable topic, your site got here up, it looks great. I have bookmarked it in my google bookmarks.